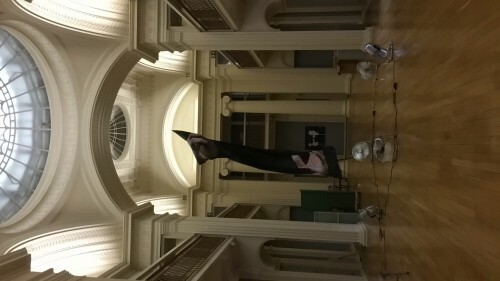 Stephanie Wilson is an artist making; clothing, sculpture, video and installation-based work, in Edinburgh. 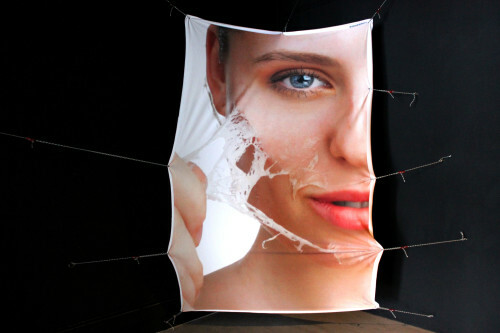 Combining image, objects, fabrics, video and sculpture her practice generates chimera-like forms. Articulating and reflecting a restless sense of mutating materiality and fleeting tangibility symptomatic of our increasingly digitally facilitated interactions. 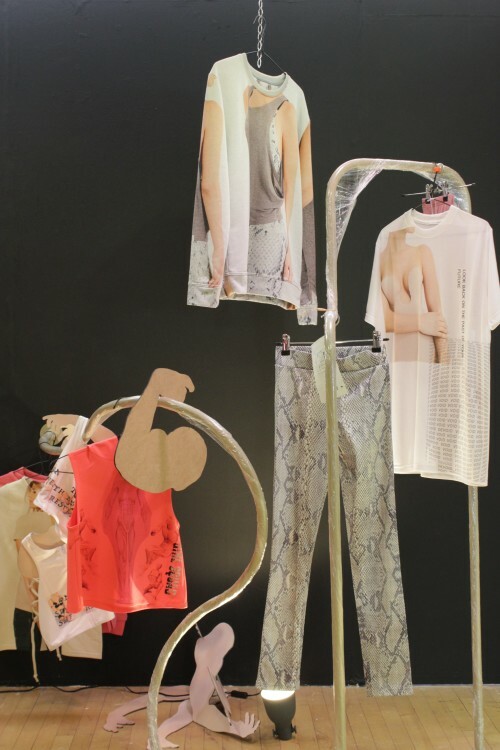 Incorporating biological shapes with high-tech display and advertisement aesthetics, she re-contextualises and re-appropriates the desiring lure of seductive surfaces to scratch at, and reveal the skin below. 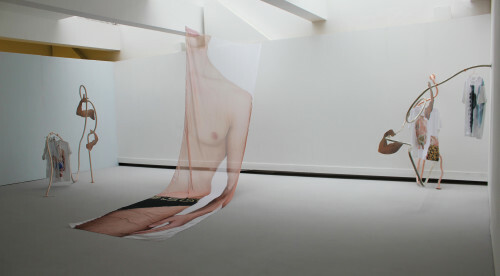 Stuck in a fragile state of existence, her works leak and bleed into one another, exposing the porous reality of the blemish-free boundaries, which project and define unachievable ideals upon permeable ‘bodies’. 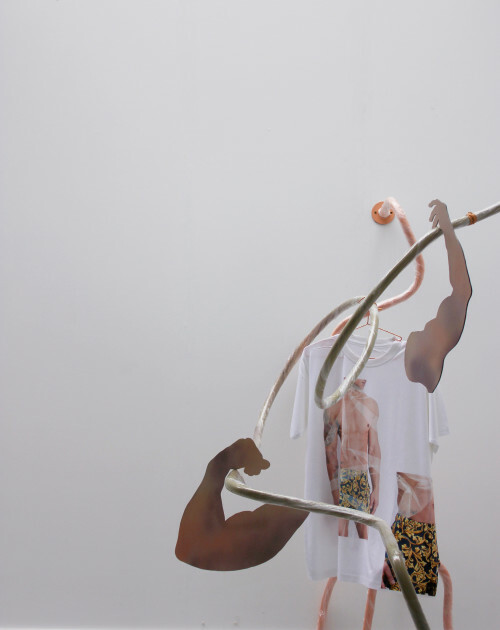 Rendered through these hybrid assemblages her works maintain a sense of presence and absence; bodies, screens, fabric and flesh are all flattened out. Void of their volume they are free to perform constant tonal shifts exposing the gaps between physical intimacies and conceptual distances. 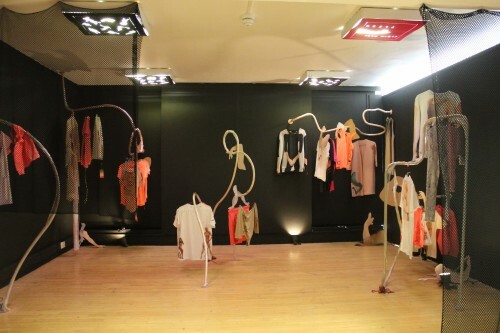 Stephanie Wilson makes; clothing, sculpture, video and installation-based work, in Edinburgh. 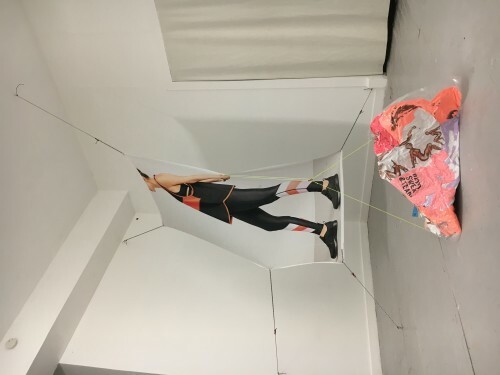 With an MA in Contemporary Art Practice (2018) from Edinburgh College of Art, she was awarded the Andrew Grant Bequest and the Marion Cameron Mackenzie Scholarship’s, and won ‘SUPERSIZE’ large-scale scaffolding-banner competition. Exhibitions include;The Rat Hole Gallery, (Japan), OXO Tower (London) and the Talbot Rice Gallery, (Edinburgh).